Mark your calendars! Our Annual Luminary Service this year will be held on Sunday, Dec 8, 2019! Please note that the service is on Sunday!! Come join us and celebrate the lives of those who are no longer with us. 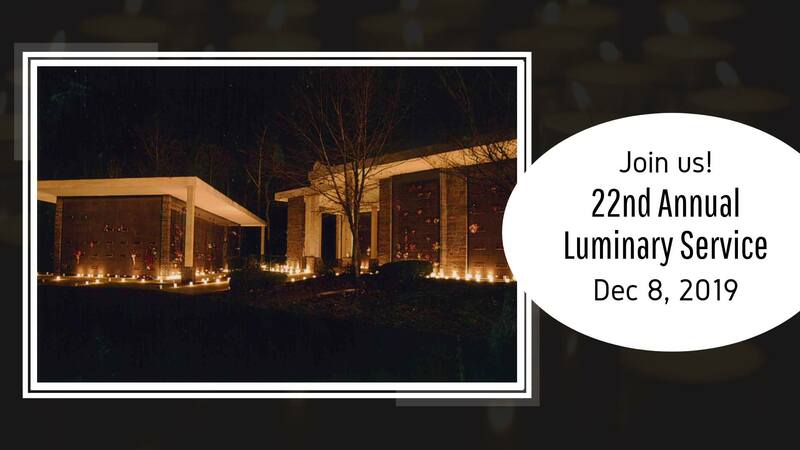 We will be lighting candles that have been placed in the cemetery, and honor the memory of your loved one. ??? Be sure to arrive early! Refreshments will be served, and collection boxes for nonperishable foods will be at each refreshment tent for Churches Assisting People (CAP).